Anoon from Flemming Lassen for by Lassen serves as a trolley in the living room or working area, and distinguishes by its ability to adapt. It is suitable for every room situation and can stand in one place or be moved flexibly to serve food and drinks. The serving trolley is made of painted steel. It can be used as a classic trolley and beverage cart or as additional storage space in the kitchen, in the dining room, in the hallway or next to the bar. A special feature is that the top can also be used as a tray which allows to be simply removed from the trolley, this way drinks and snacks allow to be directly set on the table. 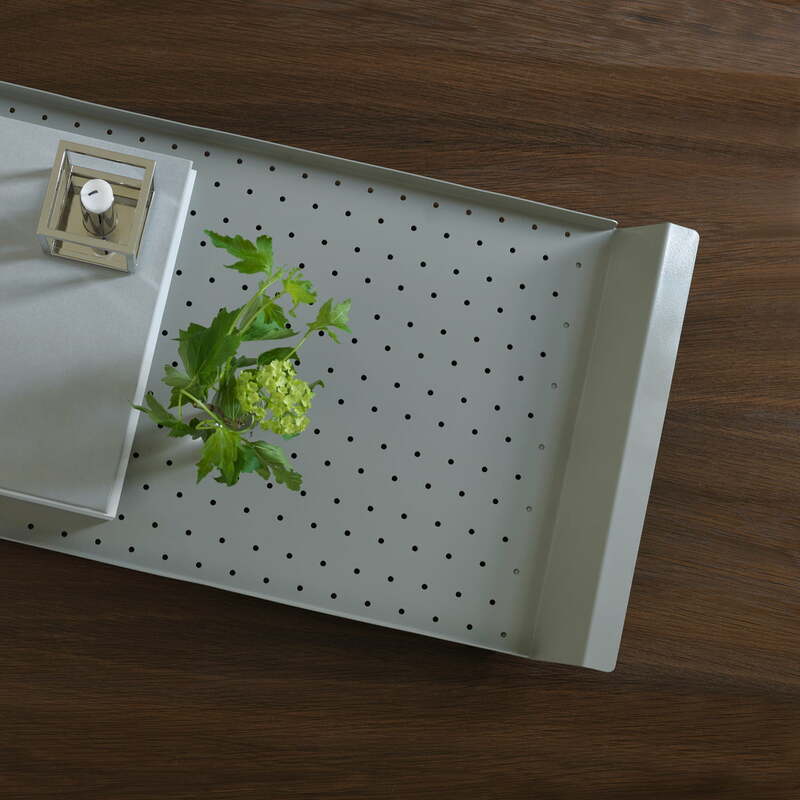 The Anoon serving trolley from by Lassen comes in a flat pack to allow space-saving shipping. But it is easy and fast to assemble and allows to be used in the living area in many different ways. 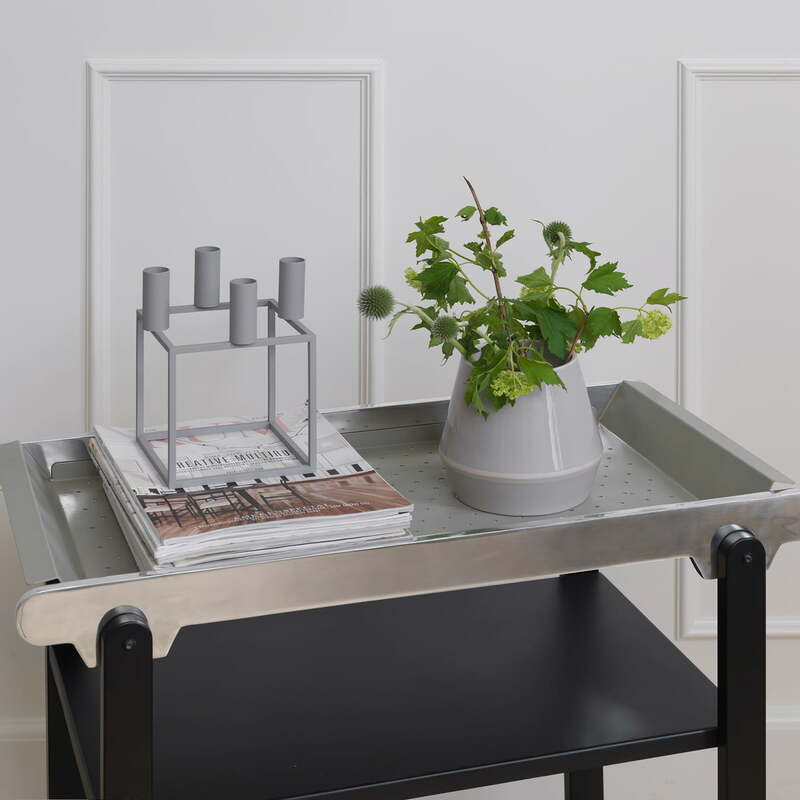 Product image of the Anoon serving trolley by Flemming Lassen for by Lassen in mud grey / black / chrome. 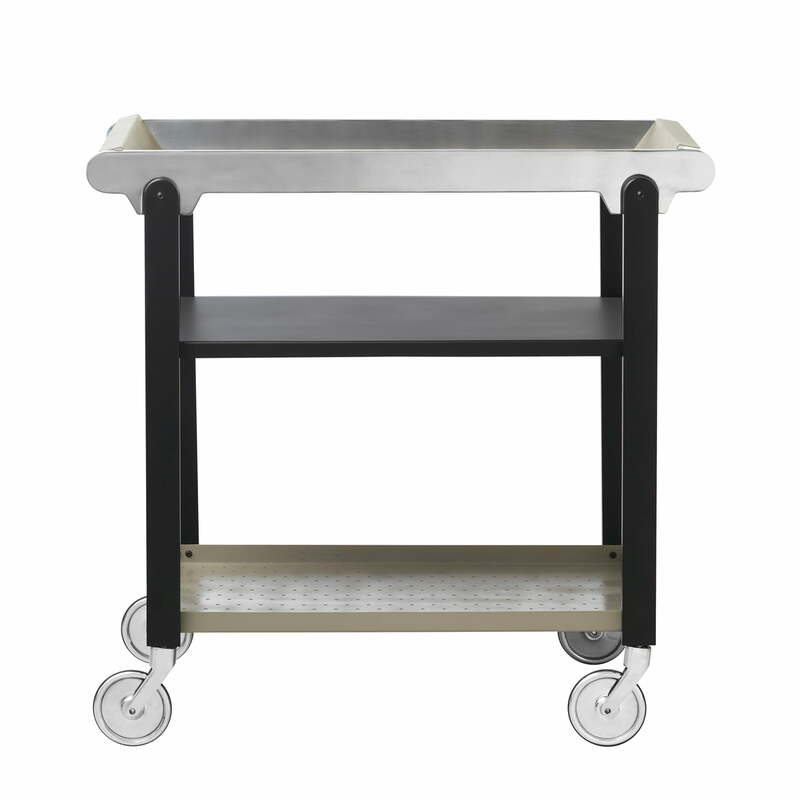 The serving trolley is made of painted steel. 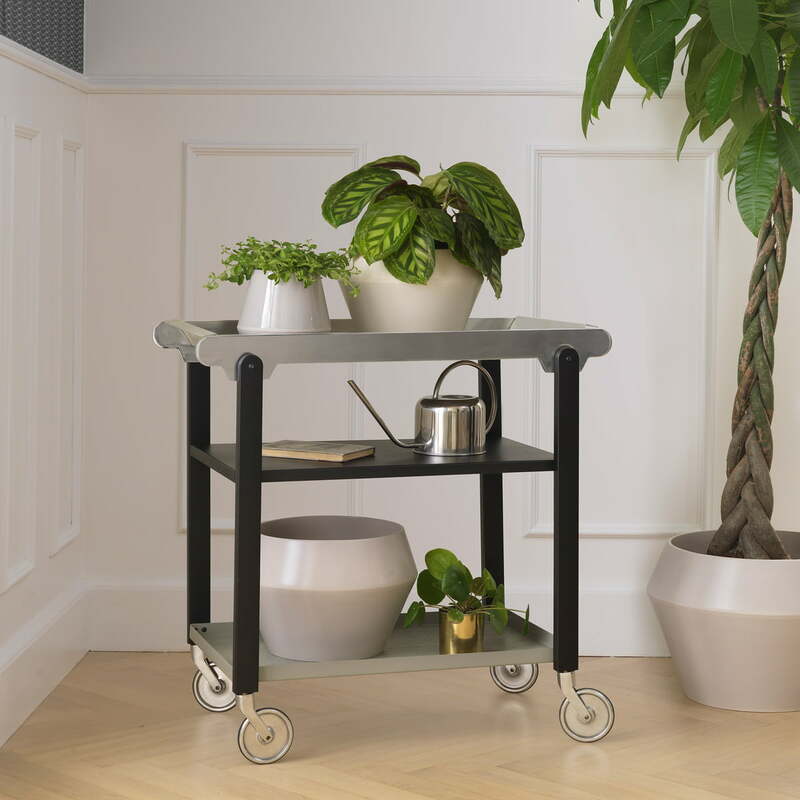 The Anoon trolley from by Lassen allows also to be used as shelf for flowers and plants, which look particularly good in the Rimm flower pot from by Lassen. You don't only place stylish accents with the exceptional forms of the by Lassen Rimm flower vase and the Anoon serving trolley, but you also allow traditional, nordic craftsmanship to move into your home. Anoon from Flemming Lassen for by Lassen serves as a trolley in the living room or working area, and distinguishes by its ability to adapt. It is suitable for every room situation and can stand in one place or be moved flexibly. 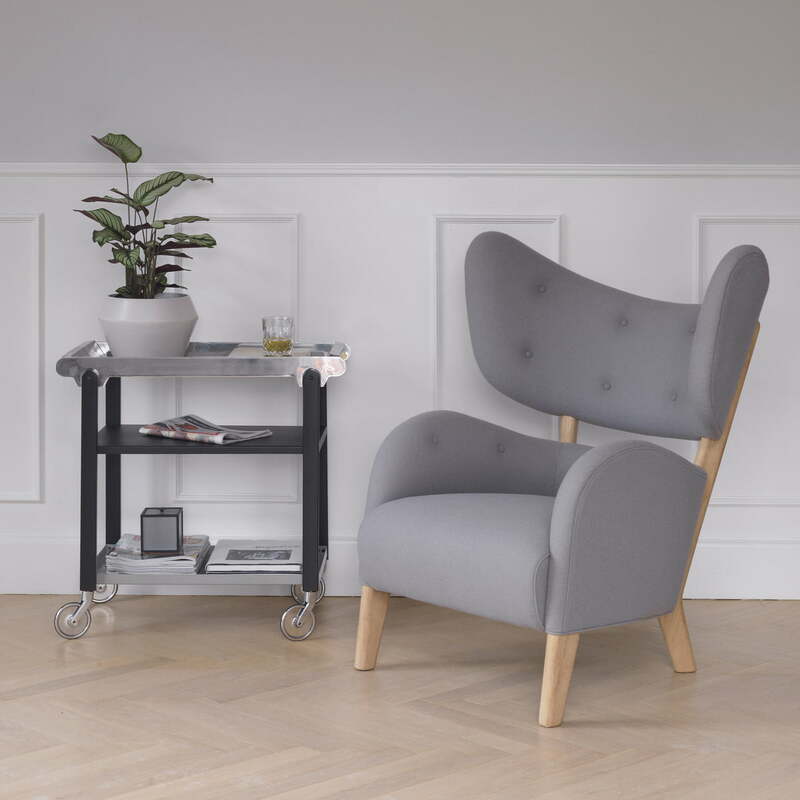 The My Own Chair armchair in tone 4 (216) by Flemming Lassen for by Lassen perfectly complements the Anoon trolley designed by Flemming Lassen for by Lassen.